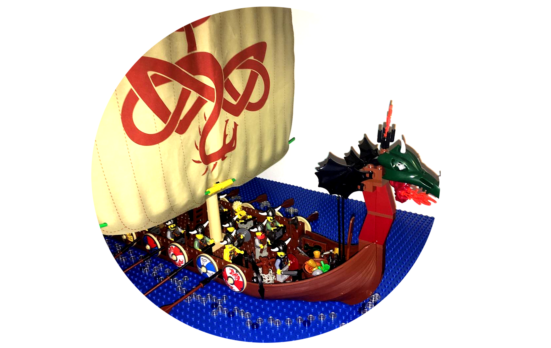 Aidan’s Viking Ship is our MOC of the Week, a really fantastic recreation of a Viking longboat packed with lots of plundered loot, an assortment of detailed Norse shields and a fire breathing dragon head to boot. Look out for the hoards of horned Vikings coming your way, it may be historically inaccurate but what’s a Viking helmet without horns? Frighteningly good work Aidan, we’re looking forward to seeing more from you in the months ahead! Learn more about MOC of the Week here. Submit a MOC here. If you need help inserting or attaching images check here.